At Providence Place and The Gardens – it’s about love and family. Home – where love abounds, life is lived, experience is shared, individuality is respected and dignity is honored. That is what our family is like at Providence Place & The Gardens. A place where generations come together…Providence Place Assisted Living is committed to bringing people together in a loving, nurturing environment. 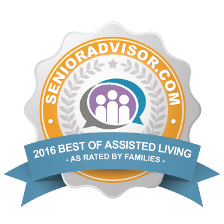 We are also devoted to providing our residents the highest quality of service available and doing that with the utmost care. Our staff is specially trained to meet the needs of those we serve. Daily activities are designed according to the residents’ interests, helping them to maintain a high quality of life. In addition, our residents’ physical safety is always at the forefront. Emergency response systems are located at all bedsides and in each bathroom, and staff members are trained to respond 24 hours a day. Located in the heart of Mt. Juliet, TN, Providence Place Senior Living offers both Assisted Living and Memory Care (The Gardens). Providence Place offers residents and their families unique opportunities for lasting memories and peace of mind.